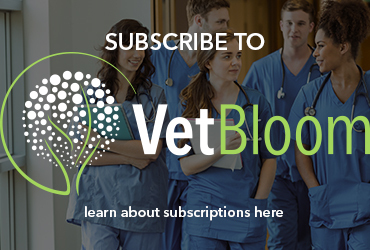 A 6-month-old, sexually-intact male English Bulldog was presented to the ER Department for acute onset vomiting for approximately six hours. 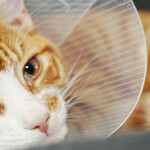 The previous day he had been presented to a primary care veterinarian for a moist cough. 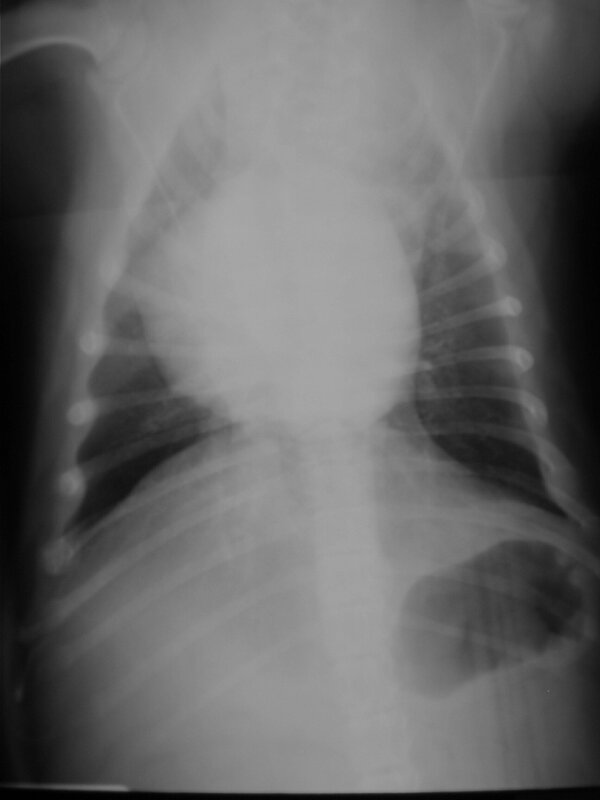 Radiographs from that visit were interpreted as bronchopneumonia and antibiotics were initiated. The owner reported that the cough had ceased prior to the acute onset vomiting. On physical examination the dog was bright and alert. Temperature and heart rate were within normal limits. He was in good body condition and had a normal conformation for age and breed. Auscultation of the lungs revealed tachypnea with slightly increased bronchovesicular sounds but no crackles or wheezes. No coughing was appreciated during the examination. Abdominal palpation did not reveal any significant masses or free fluid. The dog was slightly uncomfortable on deeper palpation of the caudal abdomen. 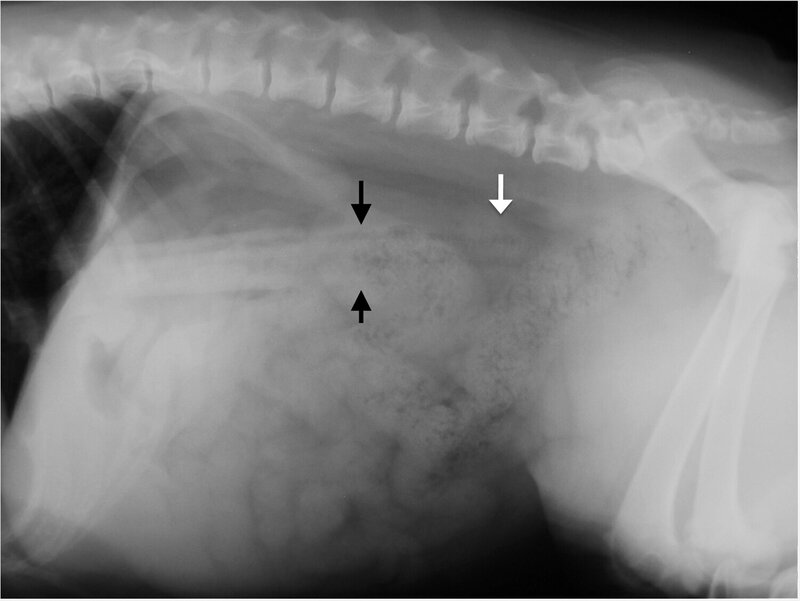 A linear structure of approximately 2-3 cm in width and 20 cm in length is present in what appears to be a markedly distended and caudally displaced stomach visible on both lateral and ventrodorsal radiographs (Figs. 3 & 4). There is no free gas within the abdominal cavity indicating that the foreign body has not perforated the gastric wall. There is subtle deviation of the diaphragm at the level of the gastric fundus. The pulmonary parenchyma is unremarkable on thoracic radiographs but the foreign body is visible at the level of the diaphragm. Fig. 3: Right lateral abdominal radiograph. Note the gastric foreign body (black arrows) that had distended the gastric wall caudally past the level of the kidney (white arrow.) There is no evidence of free peritoneal air or fluid. Fig. 4: Ventrodorsal thoracic radiograph. Note gastric foreign body (black arrows). With this radiographic view it is difficult to assess whether the foreign material is contained entirely within the gastric lumen. Point-of-care bloodwork revealed mild acidosis (pH 7.342), mild hypochloremia (109 mmol/L; 112.7-118.3 mmol/L), mild hyperglycemia (135 mg/dL; 75-116 mg/dL), and mildly elevated pCO2 (50.0 mmHg; 32.6-48.3 mmHg. Because the dog was not in distress and the foreign body had not perforated the stomach, the dog was admitted to the hospital for supportive care overnight. An intravenous catheter was placed and lactated ringers solution was administered at 90 ml/kg/day. He was also treated with famotidine (0.5 mg/kg IV q12hrs) and timentin (50 mg/kg IV q 8hrs). The following morning an exploratory celiotomy was performed. As suggested by the radiographs the foreign body was contained within the stomach. A gastrotomy was performed and revealed a 12cm-long linear structure that resembled rawhide (Fig. 5). The material had presumably softened overnight because it was curved and no longer distended the stomach caudally. The gastric wall was not damaged and there was no evidence of perforation or ischemic damage. The surgery was completed in a routine fashion and the dog was discharged from the hospital the following day with no further clinical signs or complications. After surgery the owner recognized the foreign material as a bully stick dog treat. Bully sticks are made from portion of bull penises that have been dried and sometimes cut or braided. They are marketed as all-natural treats that are safe for all sizes of dogs. Although the radiographic appearance is unique, the doctors and technicians at our hospital were stumped and could not identify the foreign material. Given the degree of softening noted at the time of surgery it is possible that the bully stick would have passed or been digested without causing an obstruction in this dog. Fig. 5: Bully stick foreign body with Bic® pen for size comparison. The material had softened and appeared smaller than from the radiographs the previous night.